The Neugebauers: Hello there little lady! 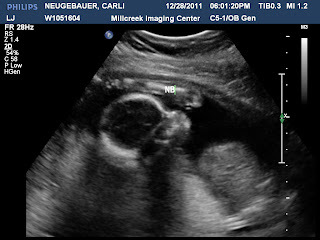 I forgot to mention that there is a little lady inside my belly. YAY FOR LITTLE GIRLS!! She looks cute! I've been meaning to ask you to see this pic. You just won a BRAND NEW CAR! Seriously? No.